If you ask ten people to describe Flagstaff, you will get ten different answers. That is the unique character that the city offers each traveler. However you will hear many of these visitors and locals try to describe the ‘vibe’ that Flagstaff has. This feeling that you get is one of the many reasons people continue to visit time and again. 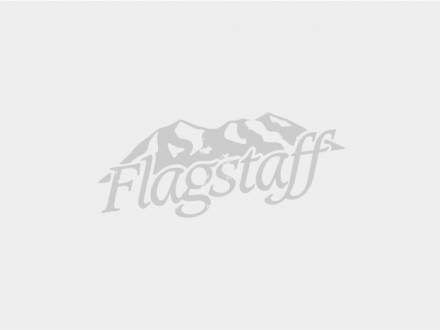 Whether you are here to attend events such as Hullabaloo, Pickin’ in the Pines or Dew Downtown Flagstaff Urban Ski and Snowboard Festival, or take a tasting tour of downtown on the Alpine Pedaler, there is something for everyone in the family to enjoy. Don’t bother lacing up your hiking boots for Flagstaff’s newest trail, the Flagstaff-Grand Canyon Ale Trail. On this path the high country’s finest hand-crafted beers are connected on a self-guided tour and brewery tasting adventure. 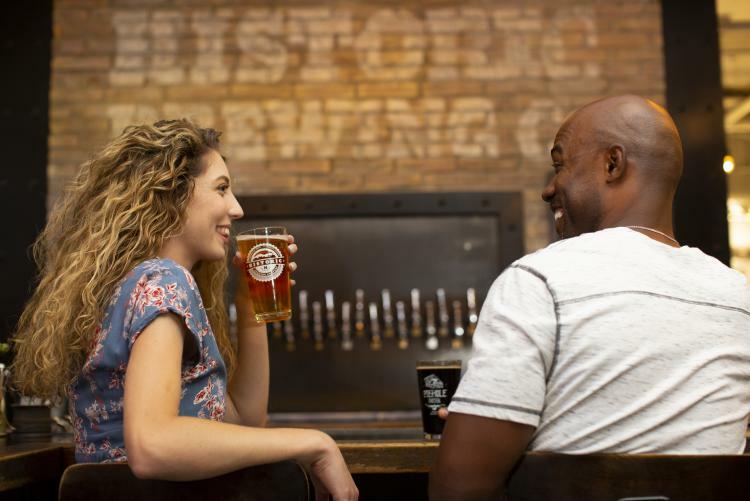 After purchasing the Ale Trail package, stroll through historic downtown stopping at multiple locations to sample craft brews, have your passport stamped and your souvenir pint glass filled. On the tour you will get a taste of Flagstaff’s microbrew history with stops at institutions like Beaver Street Brewery and Flagstaff Brewing Company, both open since the early 1990’s. Try newer favorites such as Lumberyard Brewing Company, Hops on Birch and Mother Road Brewing Company, all of which have opened in the last two years. If you want to hit these watering holes and more in Flagstaff style, hop on the Alpine Pedaler’s 14-passenger, human-powered party on wheels. The ‘pedaler’ is part bicycle, part pub crawl and 100 percent fun. An Alpine Pedaler driver leads all groups but the passengers do all the pedaling along the streets of historic downtown and Southside Flagstaff. The regularly-scheduled pub crawl rolls rain or shine (or snow) and features VIP discounts at nearly a dozen establishments. In addition to the traditional pub crawl, the Alpine Pedaler offers monthly downtown restaurant tours and a beer & pizza tour.